Mapei started over 80 years ago in Italy as a small niche manufacturer of flooring sealants and adhesives. Now they have manufacturing bases in America, Europe, Asia, Africa and Middle East supplying contractors and flooring companies throughout the world with solutions such as self-leveling compounds, moisture barriers, adhesives and the tools to ensure perfect installations of your sub-floor. Before installing a floor covering it's extremely important that the subfloor is level and free from dust and moisture. If there's moisture coming through the concrete any new wooden floor covering will be damaged and need to be replaced. If the floor has bumps or undulations and a vinyl floor covering is then glued on top of it, all the bumps and undulations will be seen and look terrible. 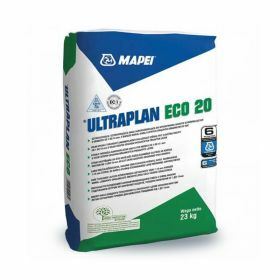 There's a famous saying in the flooring industry "The quality of the installation is only as good as the sub-floor your working on", for that reason at Floorworld we only use the very best products from world renowned manufacturers like Mapei.